Owning a home is a target achievement in life that needs to be researched and deliberated on to make a confident purchase. You want to make sure you are fully informed and ready when you are buying a house. Buying a house is the biggest decision in most people’s lives. By following these steps to buying a house you will be able to see if you are ready to embark on the journey into home ownership. Step one is determining if you're ready to buy a home and getting pre-approved. Getting pre-approved is one of the most important steps and involves a series of questions about your credit profile that will determine how much home you can qualify for. You want to make sure that the monthly payment is an amount that you are comfortable paying. At United Fidelity Funding, we complete your pre-approval in as little as an hour and at no cost or obligation to you. During this step, your loan officer will give you detailed estimate of what your estimated payment would look like, review any down payment requirements for the loan option that best fits your needs, and will give you a breakdown of the various costs you’re responsible for. Ultimately, the pre-approval is an integral step to buying a house and we prepare you better than any lender in the nation. You can speak with one of our Licensed Loan Originators over the phone at 833-827-4550, or you can complete your application online at uffexpress.com. After Pre-Approval, the next step involves finding a top-rated Real Estate Agent. Having a top agent in your corner can help you save thousands on your home and choosing an agent is a significant decision when buying a house. They are responsible for finding you the right house at the best price possible. They’re experts in contract negotiations and working in your best interest. They’ll also work with your lender from start to finish. UFF has a network of Agents that we work with to get you the best representation in your area. A great agent will also help make the purchase a stress-free transaction. Did You Know: on a home purchase the seller’s will cover the cost of your realtor. So, having a buyer’s representative won’t cost you a penny. Once you have an Agent the home search begins. This can be one of the most stressful steps when buying a house, but ultimately your agent will help you find properties that fit your needs. There are also many online sites that you can use to search for a home. But beware a lot of these sites will solicit your information and sell it to telemarketers. Additionally, these sites will often have outdated information. So, you may be ‘falling in love’ with pictures of a house when it’s already under contract. Another benefit of working with a Realtor is the lists of available homes they send you will be up to date and accurate. Once you find your dream house, the next step is to make an offer and begin negotiating the contract. This is where having a top agent will save you some money. The agent will submit an offer on your behalf. This can be structured a few different ways depending on your needs. You can even have the seller pay your closing costs in most situations. This will help you minimize your cash to close obligation. The contract offers will usually go back and forth with counter offers a few times before both sides settle on an agreement. When your contract is completed the mortgage process will begin. One of the first steps in this stage is to send your loan officer a fully executed copy of the contract. Once the contract is received, your loan officer will submit a request of documents to you. These documents will consist of the actual disclosures for the loan you are applying for, and the rest of the documents will prove your income, assets and credit profile. You can complete these steps electronically or face to face with your loan officer. Once your loan is submitted the lender will order title and appraisal. Buying a house is a fairly complicated process and there are many parties involved in order to complete the transaction successfully. The title policy is insurance to protect you from any judgements or encumbrances the previous owner had against the home you are buying. This is important to make sure you are not responsible for past issues with the previous owners. If something pops up down the road it will be the title company’s responsibility to take care of it. The appraisal is an assessment of value for your new home and is another one of the significant steps and milestones in the home-buying process. The appraiser compares your home to other similar homes in the area that have recently sold. This insures the home you are buying is worth the price you are paying for it. If you are doing a government loan (FHA, VA or USDA) the appraiser will also look for physical deficiencies (peeling paint, missing hand rails, wood rot, etc…). This is to ensure that you are buying a home in fully functional living condition. In addition to your appraisal many buyers will hire a home inspector to do an in-depth inspection of the entire home. This is optional; however, most would agree that it is a good idea to get an inspection. This will alert you to any issues with the home before you buy it. A good realtor will use their report to negotiate repairs or price concessions based on items identified by the inspector. After your loan is submitted to underwriting you will receive an underwriting decision. The is one of the most significant steps when buying a house; the underwriter’s initial decision will you and the loan officer how likely it is your loan will get approved. After initial underwriting is complete, the underwriter will ask for additional documentation to complete your loan approval. This documentation is usually just additional supporting documentation to back up the documents you have already provided. A quality loan officer will ask for most of this information upfront so that this step will require minimal additional documentation. Once all additional documents are provided, the title work is complete, and the appraisal has been turned into the lender, the underwriter will review the resubmission of documents to ensure the loan is complete. Once the loan is approved it will go to a Quality Control Department for a follow up review. In this stage you may be asked for some additional documentation. The QC department function reviews the underwriter’s work and make sure that your loan file is complete. Once the QC department approves the file it will be moved to the closing department. The closing department will send you your Closing Disclosure and your loan officer will call to review it with you. These final steps leading up to the closing of your home purchase are very important. The Closing Disclosure, also known as the CD, is a five-page form that provides the final details about the mortgage loan you have selected. It includes the loan terms, your final monthly payments and how much you will pay in fees and other costs to get your mortgage. Your initial CD from the lender is typically not 100% accurate. However, you will need to acknowledge receipt of it (regardless if it is finalized) and sign it to get the “closing clock” started. Once you acknowledge and sign the CD you must wait 3 business days before you can close on your loan. In those 3 days the lender will go back and forth with the title company to get the final numbers. Once the lender and title company balance and agree on all of the numbers you will be provided with a final CD that will show you all of the final fees charged and cash required to close. After the 3 day wait has elapsed you will go to the title company or meet with a notary to close on your loan. You will need certified funds for the cash to close made out the title company and a valid government issued ID. The notary or loan closer will go over all the documents and assist you with where to sign. After your signatures are completed your loan will fund. Once the loan is funded you will get the keys to your new home form the title company or your realtor. You will also receive a copy of the documents you signed for your loan. Be sure to save these in a safe place. You will also want to provide the CD to your tax specialist. 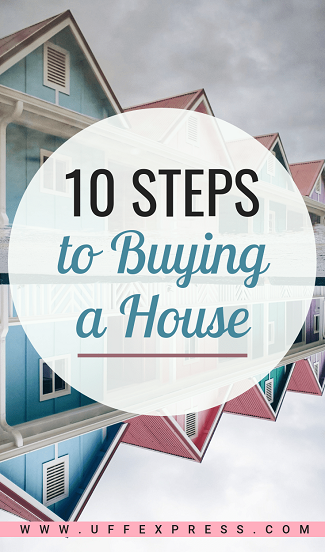 Buying a house takes months to complete and there are tons of steps for everything to come together. Preparing to buy a home (getting your credit in shape or saving up for a down payment), may take months or even years for some. The actual house-hunt – the process to find the right house - can be as little as a few days while for others it may takes months. Then, once you find a house, the loan process itself can take anywhere from 20-40 days – which depends on the situation and how quickly all parties want to close. As mentioned above, having a trusted loan officer and real estate agent are some of the most important steps. While the process may seem overwhelming, if you pick the right loan officer and realtor they will help guide you every step of the way and make your life significantly less stressful than somebody that makes the wrong choices in those areas. Do you qualify for the Rural Housing Loan?